I know it’s a bit odd to get into this challenge when the first month in 2019 is almost over, but better late than never right? This year, I aim to post a lot more reviews and hopefully meet more people in this blogger community. I also want to read more books written by authors of color, and as you can probably see from the header, I’m announcing my participation in #YARC2019! That’s the Year of the Asian Reading Challenge, organized and hosted by CW from The Quiet Pond (literally the blogger who got me into blogging! ), Lily from Sprinkles of Dreams (I adore her blog), Vicky from Vicky Who Reads (convinced me to shift over to WordPress from Squarespace) and Shealea from Shut up Shealea (who is a fellow Filipino!). This challenge is particularly important to me since I lived in the Philippines (and come back every break) for my whole life under a Chinese-Korean household, and only left the flock to go to college in New York City. My culture means a lot to me, and I really look forward to reading novels that showcase exactly that — culture, family, and tradition. So, the challenge is simple: read books that are written by Asian authors! 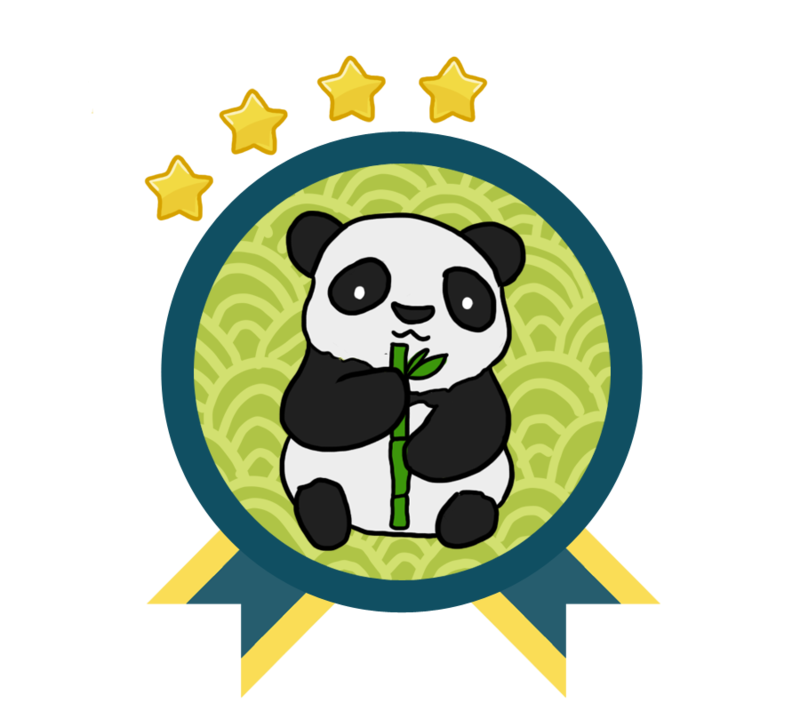 There are different badges in relation to the number of books each person chooses to read, and I’m going with the Giant Panda (look at him on the left he is so cute), which means I have to read 31-40 books. If you want to sign up late like me, you can use this link over here. So, without further ado, let’s take a look at the progress I’ve made (or haven’t, for that matter lmao). Below, I have a list of books that I want to read under the months I plan to read them, and as I make my way through this list, I’ll be including a link to my review (Goodreads or this blog), as well as a star rating for easy viewing. If I end up reading a book that was released prior to 2019, I probably won’t indicate that to avoid confusion. The Goodreads link of each book is hyperlinked so you can easily check them out if you are interested. Hopefully, I’ll be able to go through them all! Are you also participating in #YARC2019? Which book are you looking forward to reading? Let me know in the comments below! I’m looking forward to reading Spin the Dawn by Elizabeth Lim! Thank you so much for hosting this and for your kind words, Lily! I finally have the motivation to read more, and discover more books by Asian authors…and that’s all thanks to you guys! The only thing that I’ve read on your list is Circle of Shadows and I really enjoyed it! Excited to make my list!